With current events being what they are, with Donald Trump and his “America First” policy (which seems to be increasingly pushed aside but that’s a story for another place and time), the British voting to leave the European Union and doubts being cast on the future of the EU with the increased (though insufficient) popularity of politicians like Marine Le Pen and Geert Wilders, the refusal of countries like Poland and Hungary to obey EU orders on allowing non-Poles and non-Hungarians into their countries and so on and so forth, nationalism has become a word one hears much more often than in the past. This is something that some reactionaries have had trouble with and I have myself been challenged on the subject as to whether or not an old fashioned counter-revolutionary can be or even have anything to do with nationalists. A typical challenge to any suggestion that you can often involves someone citing the example of the multi-national or, dare I say, “multicultural” Habsburg monarchy of Austria-Hungary. Dealing with this issue can be a bit problematic because of how many different sorts of people and movements are referred to as “nationalist”. This is an increasingly common problem in our modern times as so much has become relativistic and words are often used to smear even if the person or group being smeared does not fit the actual definition of the word. This leads to the odd situation in which people who oppose the EU are referred to as “nationalists” while the Scottish National Party, which calls itself nationalist, is more pro-EU than probably anyone else in Britain. 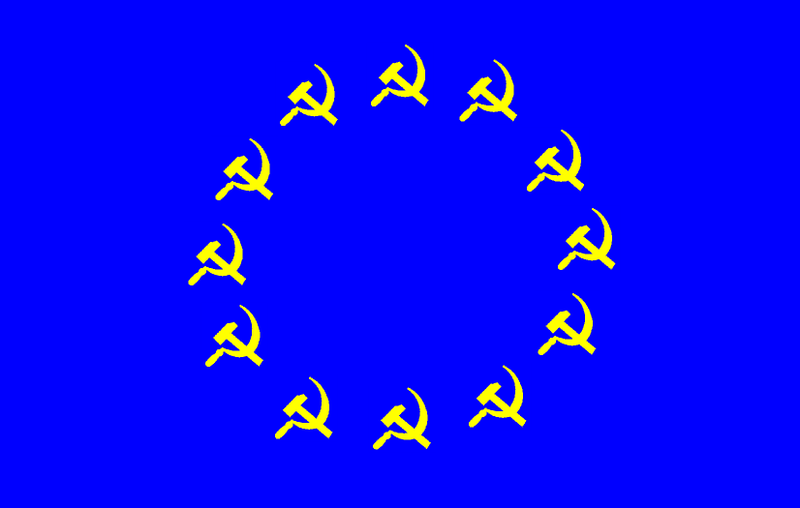 The EU itself is an international organization that stands to benefit a great deal from nationalists of a certain variety. They certainly have no problem with the Scottish nationalists as represented by the SNP and I doubt they would have any fundamental problem with Basque nationalists or Walloon nationalists. 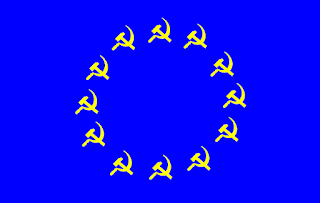 Those who wish to break up already relatively small European countries into even smaller countries would be creating minor states that would have to depend even more on the collectivization of the European Union for their survival. However, a British, Spanish, French or Italian nationalist is one they would probably oppose because such states have existed quite well on their own without an international organization to regulate them. True, some reactionary types draw back in horror from the “nationalist” label but I am not one of them. I would need to know more about them first. I have firmly come to disagree with the notion that nationalism was some wicked innovation introduced by the French Revolution. There has always been nationalism because there has always been nations, it is only that in the old days there were things above nationality in the hierarchy of importance such as religion was in the ‘Ages of Faith’ and of course the monarchy which the Church, generally, reinforced. That, of course, is when the Austro-Hungarian card is usually played as though this were an irrefutable contradiction of such a position. Again, not so, at least as I see it. 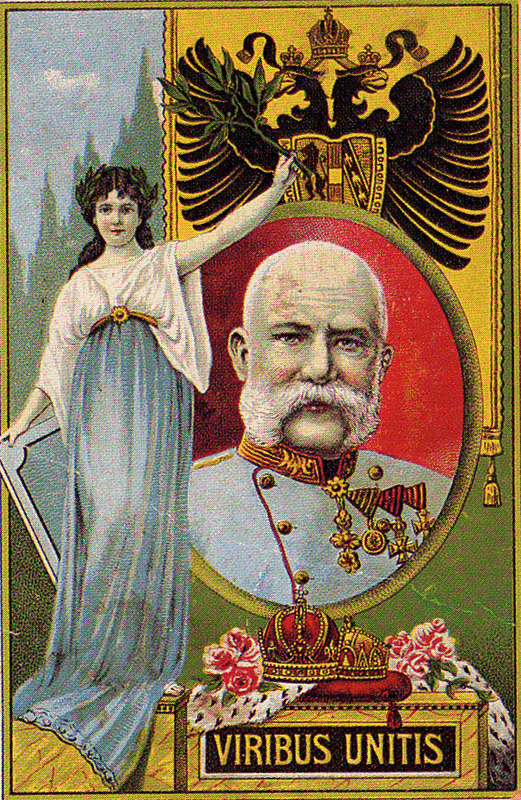 Austria-Hungary is an often abused whipping boy on the subject which both sides like to throttle, some nationalists holding it up as an example that “multiculturalism” does not work and one which the advocates of multiculturalism hold up, not because they admire a Catholic imperial monarchy, but because they think it must disarm any traditionalist opposition. So, let us talk about Austria-Hungary directly. Remember that Austria-Hungary did not spring forth from the thigh of Jupiter. 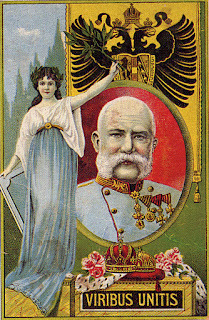 The entity lastly known as Austria-Hungary or the “Dual-Monarchy” had previously been the Austrian Empire and the Austrian Empire was the primary successor state of the “First Reich” which was the “Holy Roman Empire of the German NATION” which had been around a very long time before the French Revolution, before Westphalia, before Luther and the Protestants and anything else you want to point to as being the origin of that terrible bogeyman known as nationalism. 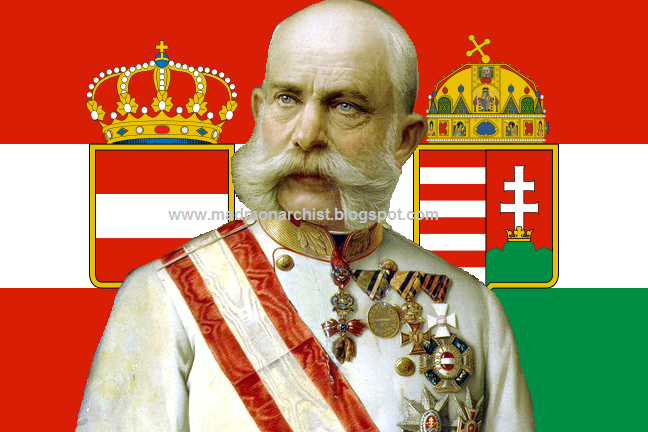 Austria-Hungary and its predecessor states had been around long before nationalism had become all the rage but certainly not before such a thing as nationalism had existed. Nationalism, again, is nothing new, it is not a recent or innovative concept. It has always been there, it is only that it has shifted, depending on the circumstances, around in the hierarchy of priorities for peoples and princes. 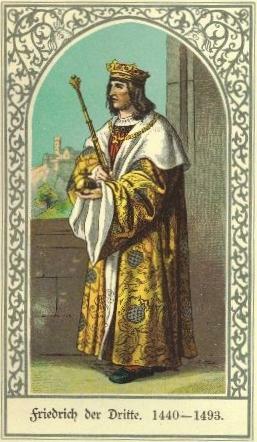 Even in the Middle Ages, people knew that an Italian was not a German and a German was not a Spaniard and a Spaniard was not a Frenchman and a Frenchman was not an Englishman. If you like, nationalism was often not seen as important but only by those people for whom it was not under threat or for whom there was some greater struggle underway over something that was even more important to them. However, that does not mean it did not exist or just because it was not their top priority did not mean that it didn’t matter to them at all. During the Middle Ages, religion was generally held as more important than anything else, yet because almost the whole of Europe was Catholic, religion was not always the primary issue. When the English invaded France during the Hundred Years War, the French did not think having an English king and English lords was acceptable since they were all Catholics. No, they were determined to drive the English out of their country and have France for the French, which they ultimately did. As for Austria-Hungary, just remember that part of the problem they had was specifically because they did NOT consider nations to be interchangeable. A Magyar was not a German and a Slovak was not a Croatian, these nations were unique and preserved on their own territory within a larger unity. This is a major difference with the internationalists of today who claim that people basically are interchangeable, an unavoidable and inevitable result of spreading the notion that all people are equal. The Habsburgs had long known that their subjects were more diverse than those of most other European sovereigns and most tended to regard this as a problem. 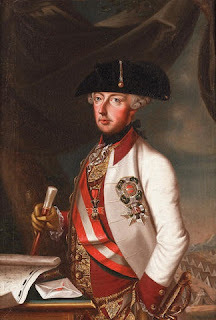 Emperor Joseph II tried to Germanize the whole empire, which did not work out and Emperor Francis Joseph agreed to transforming the Austrian Empire into the dual empire of Austria-Hungary very reluctantly. He was not a man who liked change under any circumstances but viewed the sharing of power with Hungary as a necessary concession to prevent further strife and possibly the downfall of his empire. The problems that Austria-Hungary had, and this is why so many Austrians long advocated for the conquest of Serbia (which the Hungarians opposed) was when you had part of a nation in one country and the majority of that nation in another country. This is why their relationship with Italy was always problematic and it is why the Serbian problem ultimately brought about a world war and their ruin. Peoples who were entirely within the empire could be managed, then there were peoples like the Poles who had only part of their population within the empire but who did not have an independent nation-state of their own just across the border. 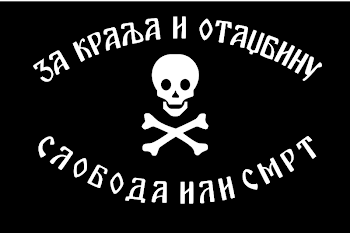 The Austrians in particular, worried about this and so pushed for the conquest of Serbia so that the whole Serb population would be within the empire and could be managed. However, since power-sharing had become the trend, the Hungarians opposed this for the obvious reason that adding a third nation to the table would mean less power and influence for themselves. Each side had a reason for either wanting or not wanting the war and each was understandable. None of these issues would have even existed if Austria-Hungary had been “multicultural” in the way modern people define the term. There was no one group of people that were ethnically “Austrohungarians”. Austria-Hungary has often been described, as a way to criticize it by way of an unflattering comparison to America, as a melting pot with no fire underneath it. In other words, rather than mixing and blending together as immigrants to America did, the nationalities of Austria-Hungary remained on their own lands, among their own people, with their own local customs and bickered with each other. However, that was obviously a more “nationalist” way of life than an actual melting pot would be which would see all of the unique ethnic groups of the empire destroyed as they merged into one, uniform people. This was never something that any Habsburg, at least during their reign, wanted to see with the possible exception of the aforementioned Joseph II who was very much a German nationalist. He never bothered to have a coronation in Hungary, fought Prussia in an effort to keep Austria dominant over the German states and tried to make everyone in his empire speak German. Obviously, he was not a nationalist as far as his non-German subjects were concerned and he was unsuccessful in making the Germans of Austria the master of Germany as a whole as things worked out. However, he was obviously not opposed to nationalism, at least for the Germans and he certainly did not think that nationalism was unimportant or imaginary. None of the remaining Habsburg monarchs did either. Having been pushed out of Germany, they first tried, with the Austrian Empire, to rule over a multitude of nationalities with the German-Austrians at the top, though the Hungarians and to a lesser extent other certain areas had always had a degree of autonomy. That ultimately proved unworkable and so the famous compromise was agreed to that created Austria-Hungary. 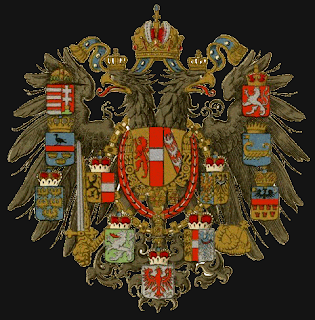 Again, this was not about saying everyone was the same, it was not about mixing Austrians and Hungarians together, but rather was about two distinct units; the Austrian Empire and the Kingdom of Hungary, working together as partners under a shared monarch. Nationalism was a fact, a fact that predated Austria-Hungary and the last Austrian Kaiser, as well as the man who was supposed to have been the last, each tried to find a way to stop the arguments between the nationalities in order that a higher loyalty could unite them. Neither ever suggested for a moment that these nationalities should be wiped out with demographics or thoroughly mixed together. 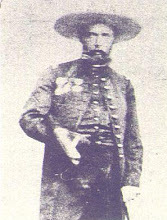 Archduke Francis Ferdinand had wanted to unite the southern Slavic people, which is to say the Serbians, within the boundaries of the empire and give them an equal share of power alongside the Germans of Austria and the Magyars of Hungary. He could see the problem was having only part of the Serbians on one side of the border and the rest of the Serbians on the other side in their own state. That is also a major reason for his assassination. 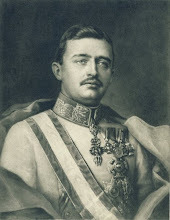 The Serbian nationalists did not want him coming to the throne and bringing about any changes that would make the Serbians within the empire any better off and thus more contented and thus less desirous of uniting with Serbia. Emperor Charles, though he had little time to rule, seemed to be aware of this view as well. I would suggest this is one reason for his desire to be King of Poland once the Russians were driven out of the Romanov portion of the old Polish lands. Having all of Poland within the empire would have been manageable, perhaps even a strength, while having part within the empire and the rest in a separate Kingdom of Poland would have spelled trouble for the Polish population within Austria-Hungary. 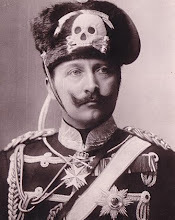 The Germans, however, were not totally onboard with adding ‘King of Poland’ to the list of titles of the Emperor of Austria and in the end the revived Kingdom of Poland never decided on a monarch before the Central Powers lost the war. Emperor Charles, presiding over the deteriorating war situation, had to deal with the increasingly fractured nature of his empire and he did this by recognizing national differences rather than trying to ignore or destroy them. He called for the creation of a “United States of Greater Austria” which was for equality and local autonomy for all the nationalities and not for trying to mix them all together as if they were the same. It was to be a confederation of sorts, each nationality on its own land, keeping its own customs, speaking its own language but all under one monarch for shared security and economic advantage. Finally, to compare the situation in Europe today with that of Austria-Hungary is completely nonsensical. Compared to today, Austria-Hungary was hardly “multicultural” at all. The peoples who were subject to the Habsburg monarch were almost entirely European with the Jewish population being the only group of non-European ancestry. Those who populated Austria-Hungary were overwhelmingly Christians and for the most part Catholic. Yes, there were pockets of Protestants, the Jewish minority, Orthodox Slavs and, after the annexation of Bosnia, a Muslim minority but they were all easily dwarfed by the number of Catholic Austrians, Poles, Slovaks, Croats, Hungarians, Italians and so on. People with this much in common can, and have, been able to work together but even among them there were obviously difficulties. This is hardly the same as expecting peoples from different continents, different races, different religions, different hemispheres of the earth to melt together with no problems at all. In fact, religious differences is a major part of the reason why Austria-Hungary existed with the polyglot collection of peoples that it had. My apologies to any who may be offended but I am about to trample on a time-honored talking point that Habsburg apologists, myself included, have long adored. Any monarchist who knows anything about the Habsburgs will have heard the saying, “Others make war, but thou, oh happy Austria, only marries”. This is usually repeated in the context of implying that the Habsburgs were superior to other dynasties because they built their empire through marriage rather than through conquest. To a large extent, that is entirely true an accurate. However, it is also, to a large extent, complete and utter nonsense. 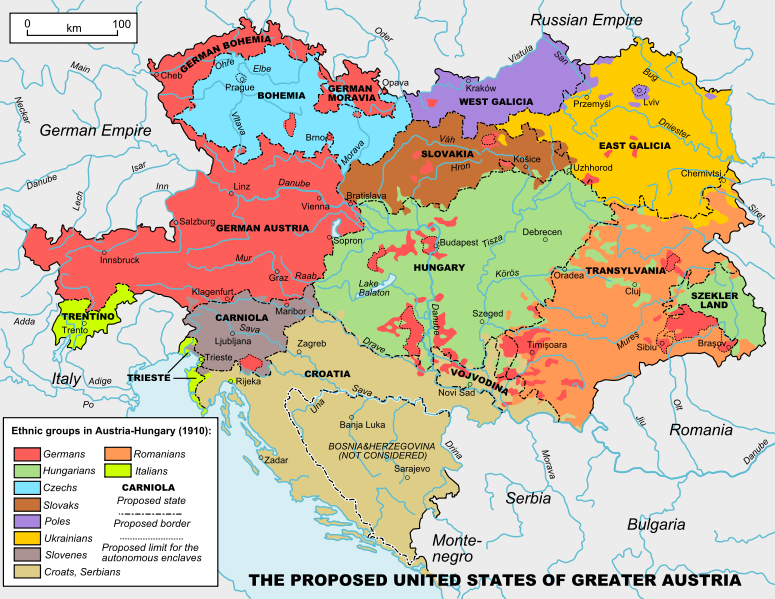 A great deal of the territory that was the Austrian Empire and later Austria-Hungary was not gained by marriage but through back room bargaining, political “horse-trading” and, yes, war and conquest. Many of those wars and much of that conquest was in a centuries-long struggle against the Islamic armies of the Ottoman Empire. Orthodox Slavs, Catholic Magyars and Catholic Austrians were brought together out of a shared desire to avoid the increased “diversity” of being ruled by the Sultan in Turkey. They were all Christians and all Europeans, Asians and Africans being rather thin on the ground in Austria-Hungary to put it mildly. This is, again, an example of there being other classifications that, at various times, took priority over the ethnic classification. 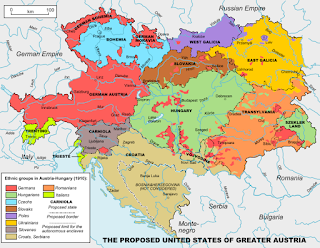 It is also true that those areas which the Austrian Empire and later Austria-Hungary had the most trouble with were areas which had the least amount of history under the Habsburg Crown. 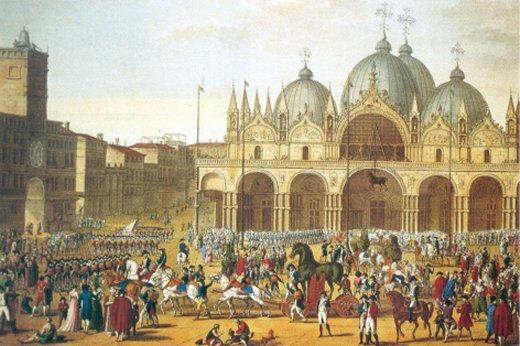 Lombardy-Venetia and the Italian populated areas on the Adriatic coast were the first to be lost and they had only been part of the fold since the French Revolution when Austria and the First French Republic agreed to seize and divide between them the territory of the Republic of Venice. The Serbian population which proved so problematic was largely gained only after the Balkan Wars and the annexation of Bosnia in 1909. It also did not help that there were religious differences with the Serbians and, again, in both cases, the Habsburgs were reigning over a part of a population with the rest in an independent nation-state of their own next door. No, I am afraid that those pushing the “multicultural” agenda will have to look elsewhere for a tool to silence disaffected traditionalists than Austria-Hungary. To put it in a more simplistic way, Austria-Hungary was a collection of peoples rather than a mixture of peoples. The core populations such as the Austrians, Hungarians, Bohemians and so on were of the same region, had been together for centuries with a long shared history, had generally the same values and that because they were largely of the same religion. 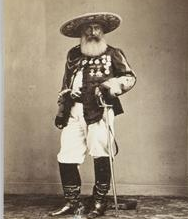 A German-Austrian and a Magyar are certainly different but they share vastly more similarities as Europeans, and Christians brought together in centuries past by dynastic alliance (yes, that was one of them, though it took winning a war with a rival to make it permanent so…) than either would have with an Arab, a Somali or a Pakistani. Even in the happy days of the greatest unity and peace, every member nationality of the Habsburg empire was proud of who they were, very definite about who they were and not about to try to be something they were not. Nationality was never unimportant to them but as their identity was not under threat, they could, and for lengthy periods happily did, unite with others as part of a great, familiar, common whole. Do not confuse one state with many cultures for one state with no culture which, make no mistake about it, is precisely where the so-called multiculturalists are taking us. Hi. I am one of those neoreactionarians who sees nationalism as a bad thing (for a traditional authority). I disagree with the notion that nationalism has been around "for ever". Nationalism (19th century nationalism) was about a "national community" that crossed "class barriers" and had the right to a "nation-state". None of those were preexistent concepts. 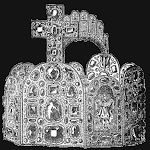 The Habsburg monarchy and its old rival, the Ottoman Empire, were dynastic states. (the idea of absolutism as a older equivalent to a modern authoritarian or even totalitarian state is a mistake; traditional rulers lacked the means and the will to impose such a thing). There was a common, shared, culture; but it was mostly an elite culture. The example you used, Joseph II, is interesting. I don´t mark him as a "german nationalist"
(in the sense Hitler was, claiming superiority of the language and culture); but as regularizer. has been fluent in hungarian or czech he would have chosen one of those instead. interact with each other (interestingly, not necessarily in german, for many years, the "inter-aristocracy" language was french in most of Europe). of them. They speak whatever language they wanted and, in Ottoman lands at least, they could pray to whatever god they believe. the elites and bureaucray to be fluent in a single language. For me, it was a reform closer to the Ottoman's "every bureaucrat should speak ottoman turkish" than anything in a "nationalistic sense". but the incorporation of Hungary had nothing to do with the HRE. It was the result of a marriage and the battle of Mohacs (not some kind of attempt of the "german nation" to expand). The word "nation" in the late middle ages and early modern era had little to do with the concept I described at the beggining. Long story short. 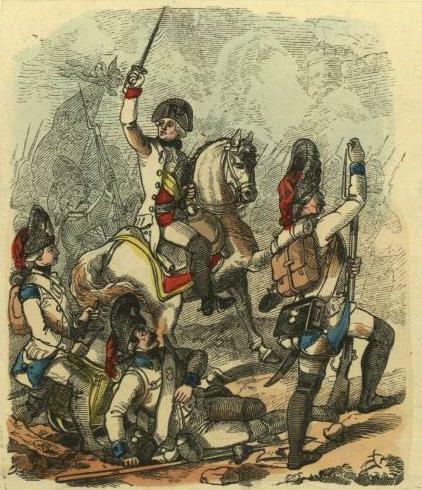 19th century nationalism was a product of the french revolution; it allowed the State to trample on any preexistent right or privilege on the name of the "people"
and the "nation". Here perhaps the important point and change with any previous definition, the idea of "equality", all members of the national community are equal to one another. to pay 35%-40% (bah, not happy, but they do it). If nationalism is, as you say, an evil creation of the 19th Century then perhaps you can explain what the Germans meant when they said "The Holy Roman Empire of the German *Nation*" or, alternately, "The Holy Roman Empire of the German *People*"? The fact that both terms were used tends to make me thing the two terms were synonymous but evidently you think otherwise. You equate nationalism with equality and, it would certainly be closer to the truth to say that egalitarianism was a creation of the 19th Century but the Romans, even under the Roman Republic, were not egalitarians and they certainly knew what nationalism was, they knew that a "Roman" (Italian) was not the same as a Greek or a Gaul or a German. You can say that they should have or we today should have see no distinctions between each other, the only race is the human race and we should all melt together into one uniform people but you cannot say that the people of the past, even long before the 19th Century, thought in such terms. I've always thought "multi-national" is a better description of Austria-Hungary than "multi-cultural". I would agree. 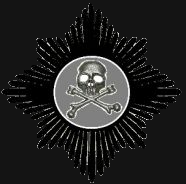 If WW1 had not intervened and the Bolsheviks been contained to the USSR perhaps the Hapsburg Empire could have evolved into a commonwealth. So much tradition lost because of that pointless war. Globalism is awful. It throws All Peoples into a blender until they are deracinated little interchangeable consumer units. Perhaps nationalism is a bulwark against that to a degree. But just like communism or fascism it requires an invented identity that must be forced on people by Massive propaganda and social engineering. And yet, long before Dante, an Italian in ancient Rome and an Italian colonist on the coast of what is now Albania knew they were the same people and that they were different from the Gauls, Allemani or Britons. What is more to the point at issue is whether your very southern Italian grandfather would feel no different toward a northern Italian than he would toward an African or an Arab? Were he anything like my grandfather, who could damn the northerners with the best of them, he likely would. "Dante would never have considered himself as Italian"
I don't think I have ever read a more ignorant comment on this blog. A keen sense of Italian citizenship is revealed in the first of his political utterances after his exile: the Latin letter where he addresses "the kings of Italy all and several, the senators of her holy city, her dukes, marquesses, counts, and peoples," and subscribes himself "the humble Italian, Dante Alighieri, the Florentine." The respective rulers and peoples are admonished as members of one body; the writer's Italian nationality comes before his Florentine origin; the tidings of joy and hope are announced to Italy as a whole. I believe the greater part of the problem surrounding nationalism is the multiplicity of meanings. Traditionalists (like the guy with the long comments) reject nationalism if it is used to identify nation-states, which are indeed an ultra-modern invention. But the word "nation" does not necessarily mean that. The latin sources do speak of the non-roman peoples as "nations" (the latin word is "natio", relating to "birth"), though not in a nation-state sense, but a more ethnically-oriented one. People sharing common ancestry (which usually conveyed common religion). 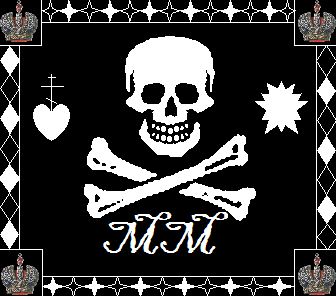 Later, in medieval times, it is true that identity was more related to personal allegiance to a monarch. 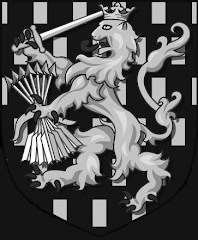 Being castillian meant that one was a subject of the king of Castille by "ius sanguini", not "ius soli", or personal oath. In medieval sources one does see several different kingdoms (sometimes united under a same monarch), and that belonging to a kingdom was not interchangeable or unimportant as opposed to belonging to another. There was, however, a parallel sense of commonality. The kingdom of Castille was not the kingdom of Aragon, but both remembered that they belonged to the former province of Hispania, and there was a weak sense of common ground regarding that history. I tried to set that out but, perhaps did not succeed, the distinction between a nation and a country if you like. 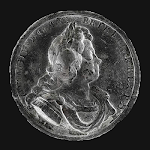 There were, as you say, times when other loyalties were placed above loyalty to your wider ancestral family (whether that is a good thing or not is beside the point) but that these were real was taken for granted. Saxon England, for example, was not the same as Roman Britain had been and Norman England was not the same as what Saxon England had been. You change the people, you change the country and everything in it. If Moorish Spain had endured and even converted to Christianity, it would not have been the same place as the Spain we know from history. Likewise, had not the Muslims and Jews been expelled from Spain by the Catholic Monarchs, Spain and the Spanish people would probably be rather different as well. 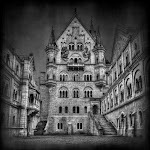 By the way, why you support Filmer's book (http://madmonarchist.blogspot.hr/p/books.html)? Isn't John Locke debunked his theory? There are any number of things I disagree with Hoppe and Filmer on, the presence of their books on a list of suggested reading does not mean I support everything each one says. I simply point them out as books which may be of interest to monarchists of various backgrounds. John Locke didn't "debunk" anything. He just muttered some Enlightenment blank-slate absurdity about the nature of "man" (as though one can lump all of humanity together) and declared Filmer wrong. 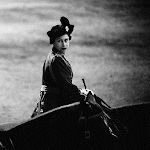 He never answered the basic premise of Filmer's thesis, which was the patriarchal authority of the monarch. In order to have a restoration we would have to make sure that the monarchs we are restoring oppose Jewish power, oppose mass non-white immigration into Europe and oppose capitalist democratic systems in favour of bringing back feudal landed systems run by ancient families. This would be next to impossible to do because most royals, nobles and monarchs are liberal and ok with Jewish power, non-white immigration and liberal democracy and class equality.